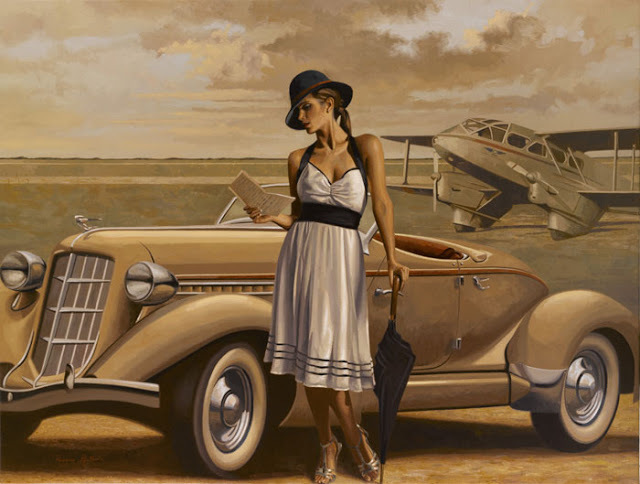 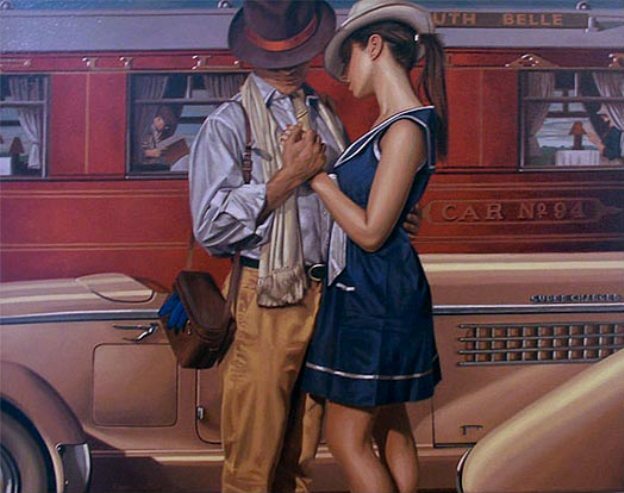 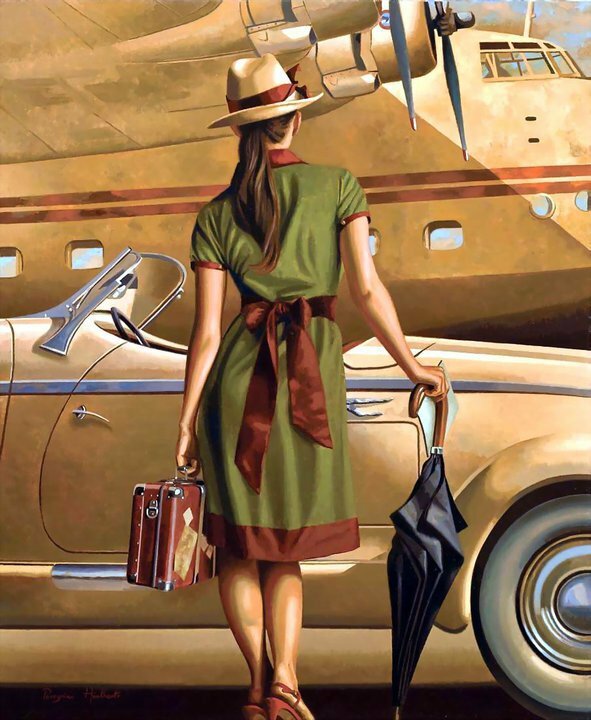 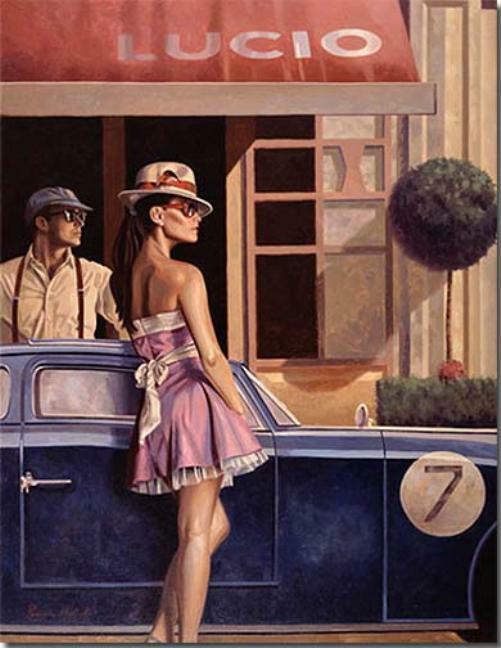 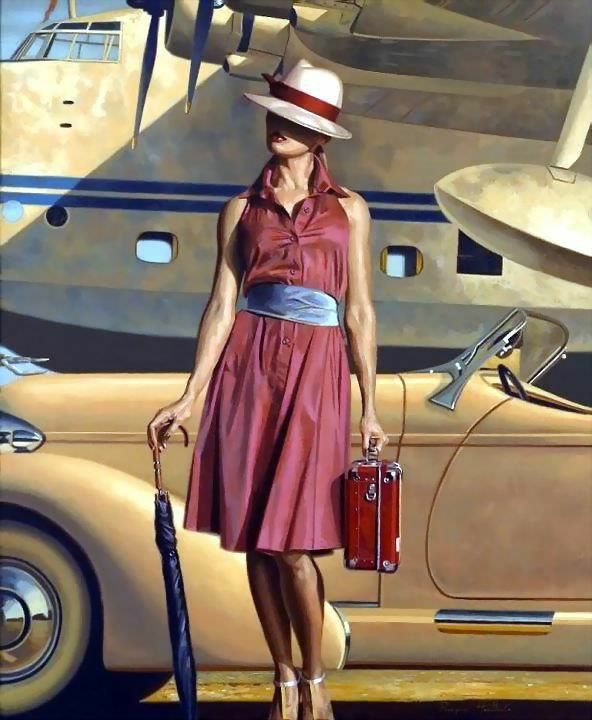 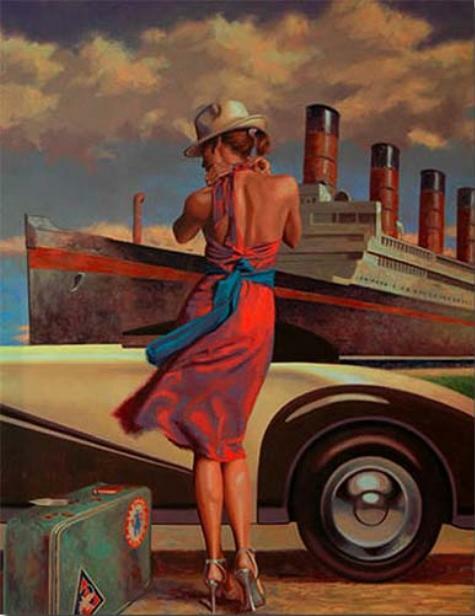 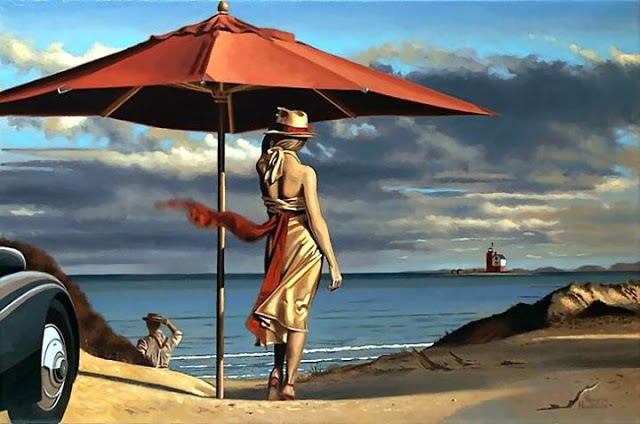 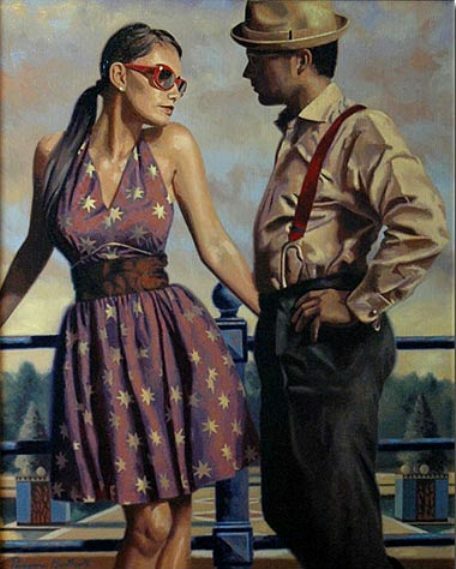 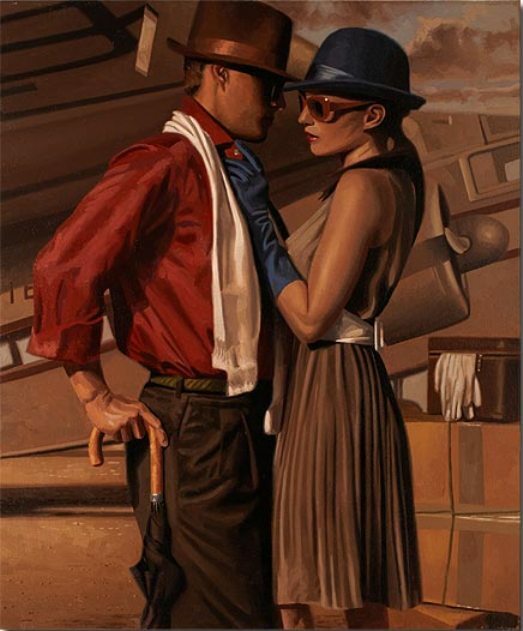 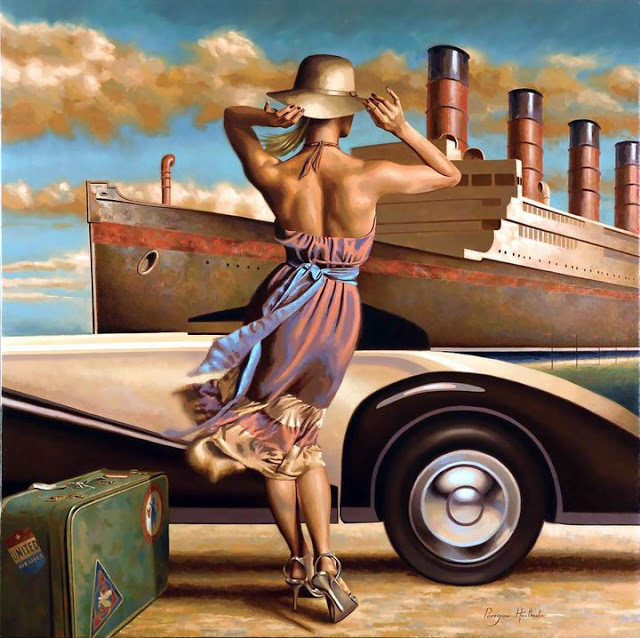 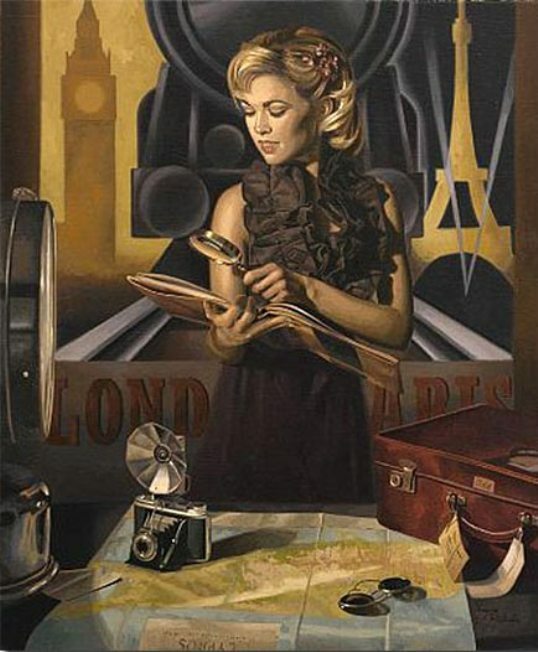 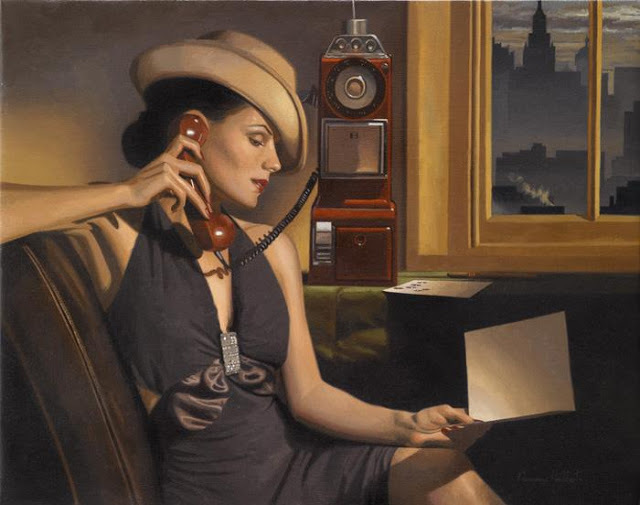 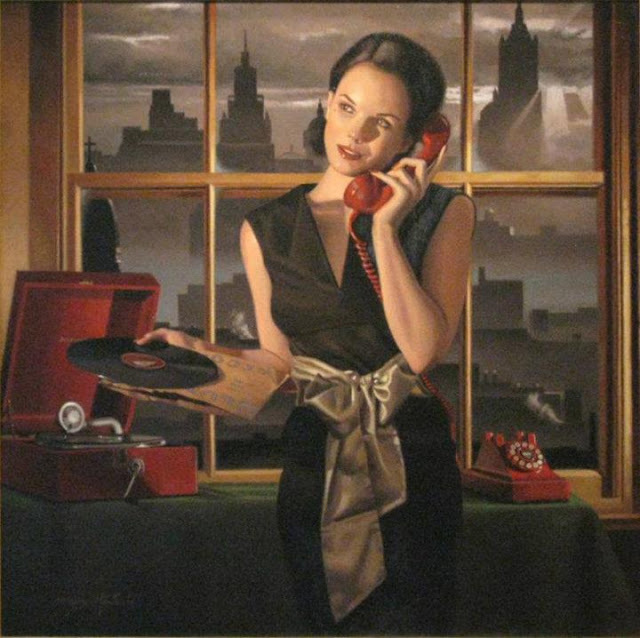 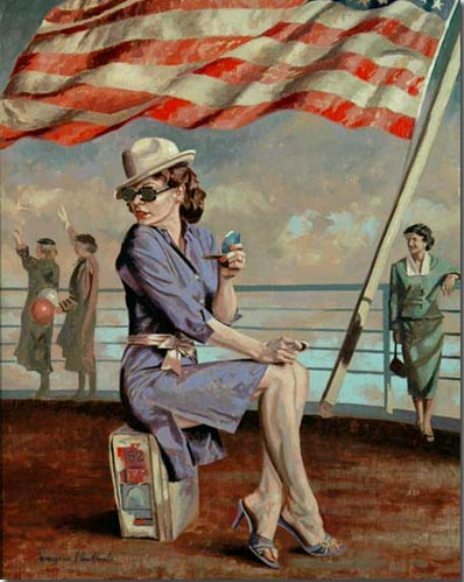 Peregrine Heathcote was born in 1973 in London. 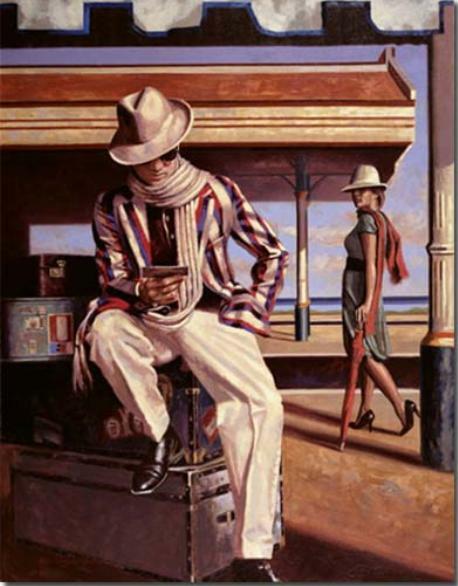 His childhood was spent in both Dubai and Britain. 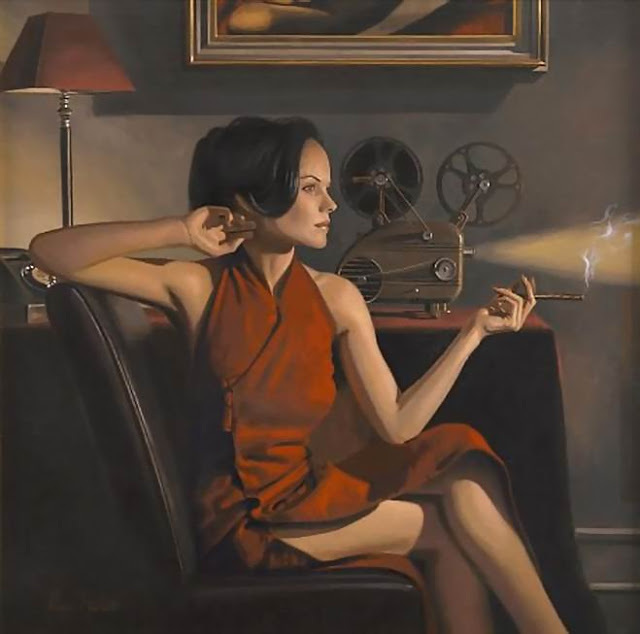 He graduated from the Florence Academy of Art and since that time he has been profiled by the BBC in a documentary about his portraits resulting in international exposure. 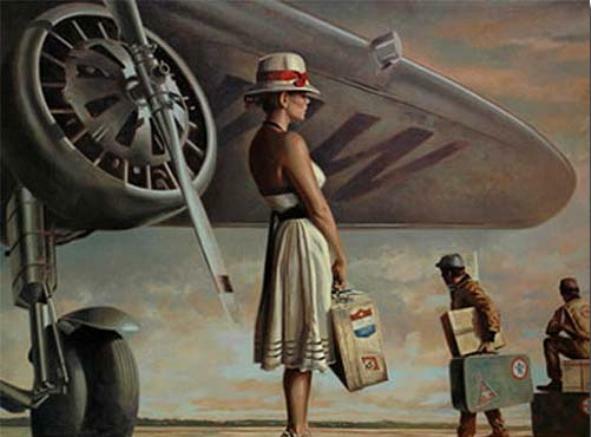 He creates narrative images of beautiful women stepping off bullet trains. 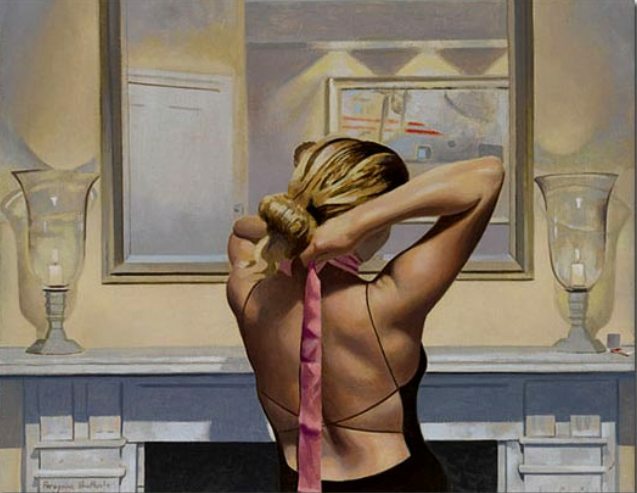 He has exhibited at the Royal Society of Portrait Painters, Hampton Court and the Royal Academy. 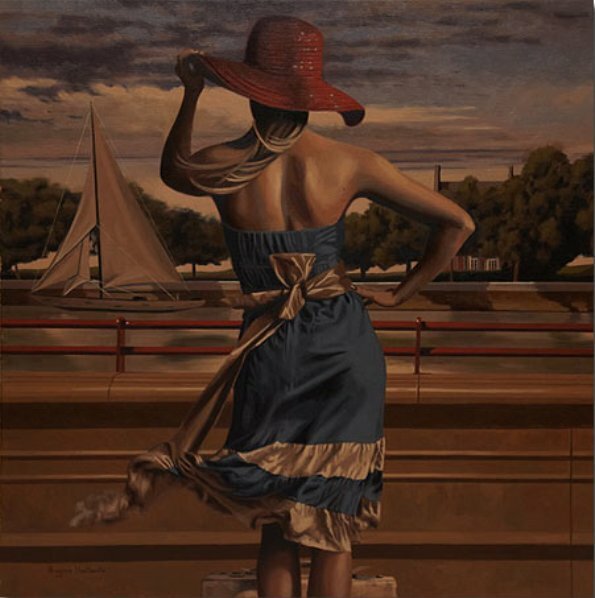 Presently Peregrine is including Newbury Fine Arts as a primary source for his artwork in the East Coast of the United States.